The WellPet Group PC welcomes you to our website! The WellPet Group PC is a members-only, full service wellness center for companion animals utilizing the most state-of-the-art veterinary equipment and the finest technology in the area. Our goal is to keep your pet in optimum condition, ensuring that you'll need us only for routine care. 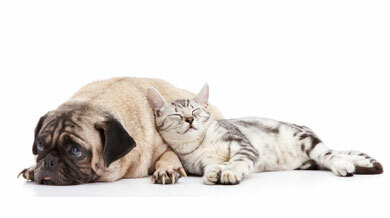 Our philosophy is to involve you in your pet's health-care through shared decision making. One-on-one appointments are scheduled around you - for your pet(s) only - without waiting times. All fees are included in your membership, allowing us to make the best health decisions for your pet, based on need not costs. We have also eliminated the anxiety of emergencies by providing 24-hour emergency care for our members. MISSION STATEMENT - To be remembered as providing the care and compassion that we would expect for our own four legged companions. Post by The WellPet Group. Thank you for taking the time to read about our veterinary practice and the services we offer. We welcome your comments and suggestions. Please contact our office at (540)464-1516 for all your pet health care needs. We have also eliminated the anxiety of emergencies since we provide 24-hour emergency care at no additional charge. No pet will be excluded because of age, breed or previous medical history.